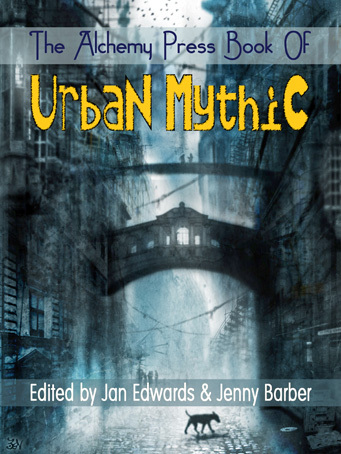 There is magic out there on the street and the Mythic are alive and well and creating chaos in a city near you. Fourteen fabulous authors bring you tales of wonder and horror, with ancient curses and modern charms, strange things in the Underground, murder and redemption, corporate cults and stalwart guardians, lost travellers and wandering gods, fortune tellers and urban wizards, dragons, fae and unspeakable beasts. With stories from: James Brogden, Joyce Chng, Zen Cho, Graham Edwards, Jaine Fenn, Christopher Golden, Kate Griffin, Alison Littlewood, Anne Nicholls, Jonathan Oliver, Mike Resnick, Gaie Sebold, Adrian Tchaikovsky, and Ian Whates.